1.) In a Large Bowl add Milk, Eggs, Vanilla and Yeast. Mix Together Well. While slowly mixing add sifted flower gradually. Continuing kneed your dough until it is soft and elastic. 2.) 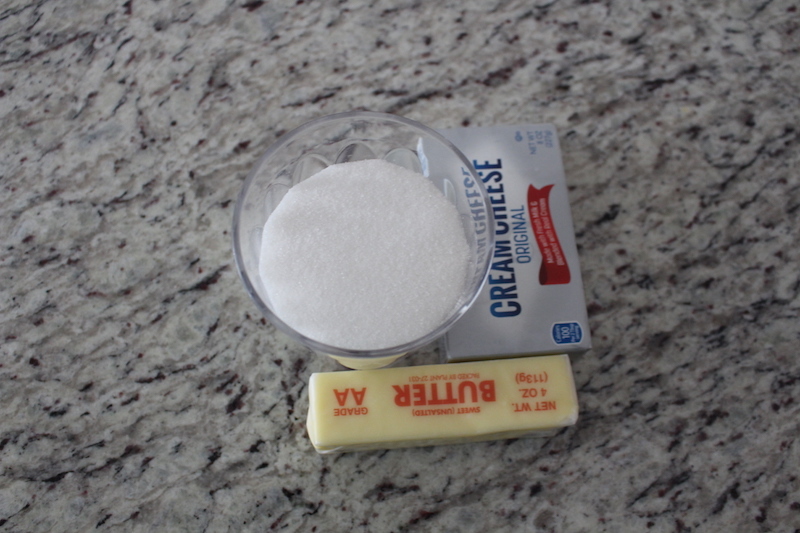 In a separate bowl mix your butter, cream cheese and sugar. Place your dough on a lightly flowered surface. Split your dough into 3 even pieces. Using a rolling pin roll out one piece of dough. Then add your 1/3 of your cream cheese mixture on top and spread it out with a spatula. Repeat 3 times for all 3 pieces and then roll them into roulettes. 3.) Using a knife cut small even pieces from your roulette. Place your buns on a piece of parchment paper and a baking sheet. 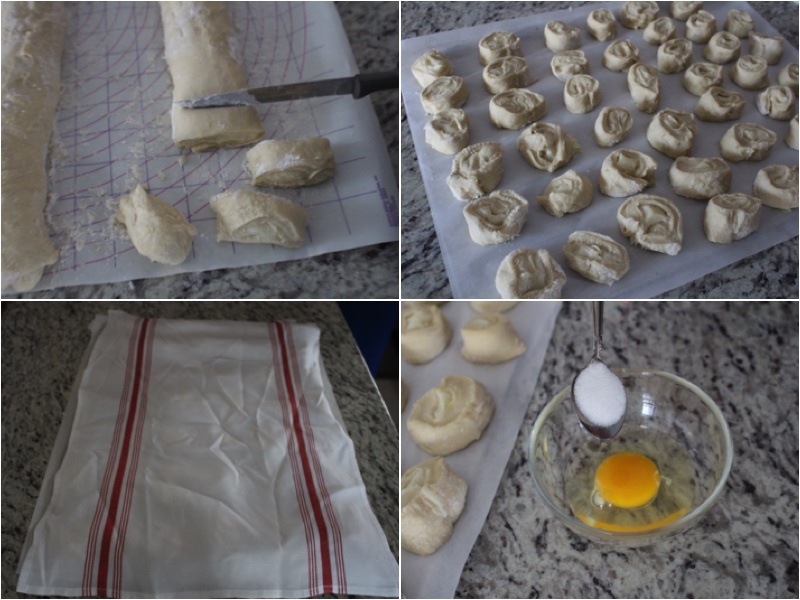 Cover your buns with a cloth and let it rise in a room temperature area for 2 hours. After mix your egg yolk with some sugar. 4.) Coat the tops of your buns with the egg yolk mixture. Place your buns in the oven for 15 minutes on 400ºF. Then Change the temperature to 350ºF and bake for another 15 minutes. Place on a serving dish and enjoy. 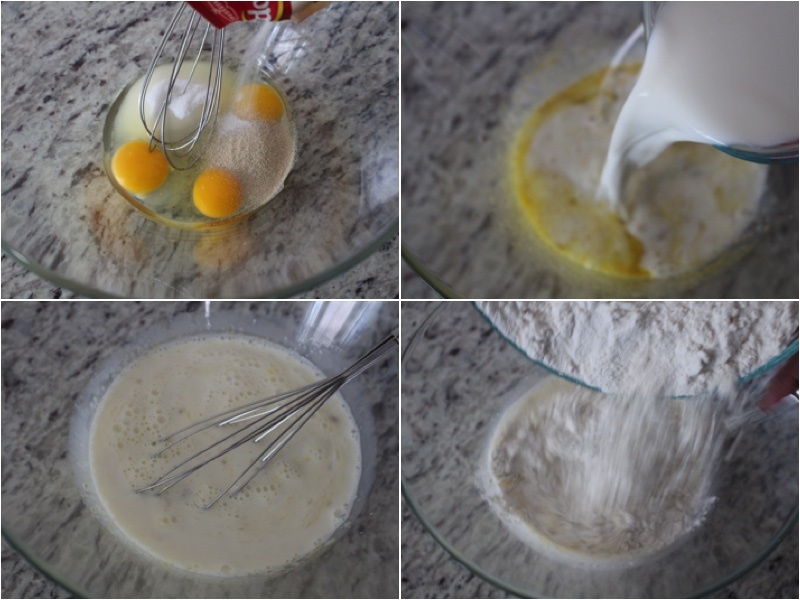 In a Large Bowl add Milk, Eggs, Vanilla and Yeast. Mix Together Well. While slowly mixing add sifted flower gradually. Continuing kneed your dough until it is soft and elastic. In a separate bowl mix your butter, cream cheese and sugar. Place your dough on a lightly flowered surface. 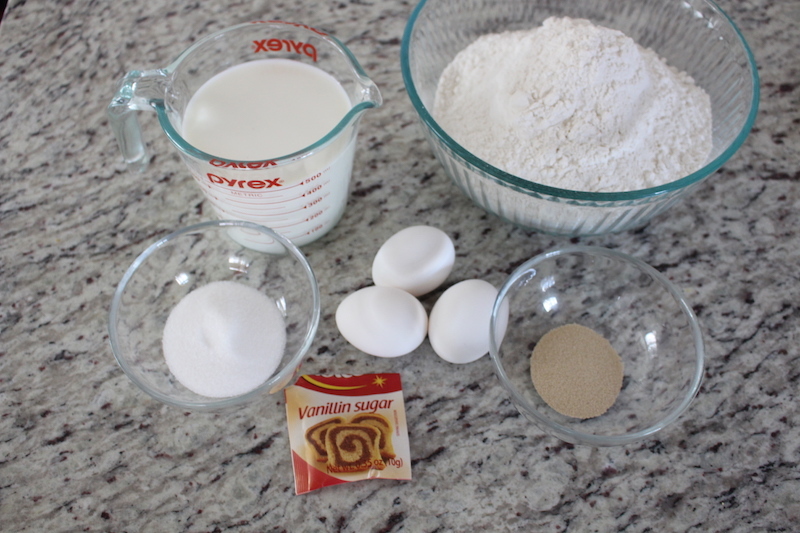 Split your dough into 3 even pieces. 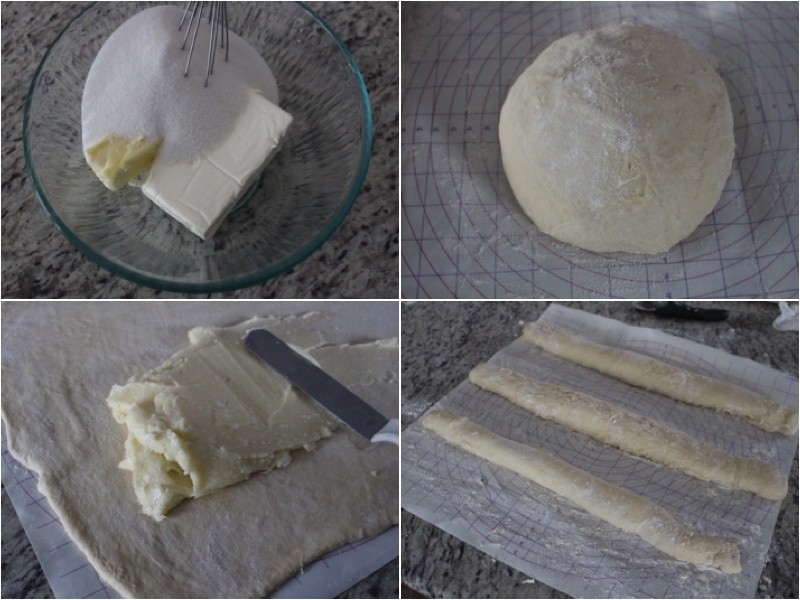 Using a rolling pin roll out one piece of dough. Then add your ⅓ of your cream cheese mixture on top and spread it out with a spatula. Repeat 3 times for all 3 pieces and then roll them into roulettes. Using a knife cut small even pieces from your roulette. 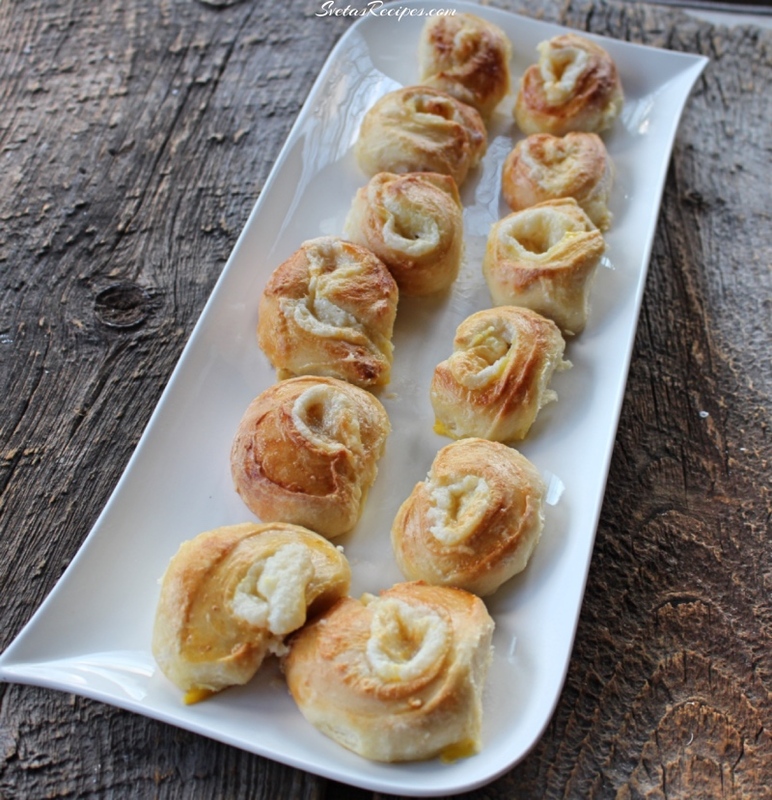 Place your buns on a piece of parchment paper and a baking sheet. Cover your buns with a cloth and let it rise in a room temperature area for 2 hours. After mix your egg yolk with some sugar. 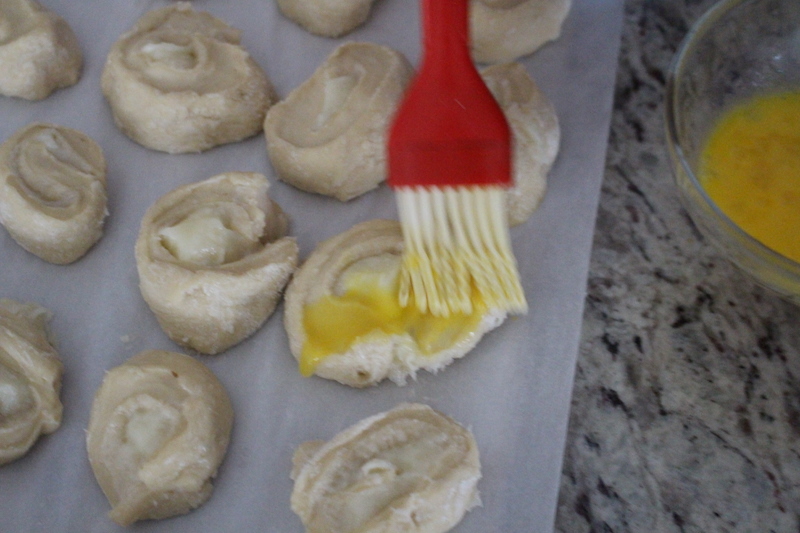 Coat the tops of your buns with the egg yolk mixture. Place your buns in the oven for 15 minutes on 400ºF. Then Change the temperature to 350ºF and bake for another 15 minutes. Place on a serving dish and enjoy.